During the last few weeks of the course Letters as Sociohistorical-Linguistic Documents, I’ve been reminded of the many special linguistic insights which letters are able to provide. We’ve read,* for example, about how letters may provide evidence for reconstructing social relationships and social networks. 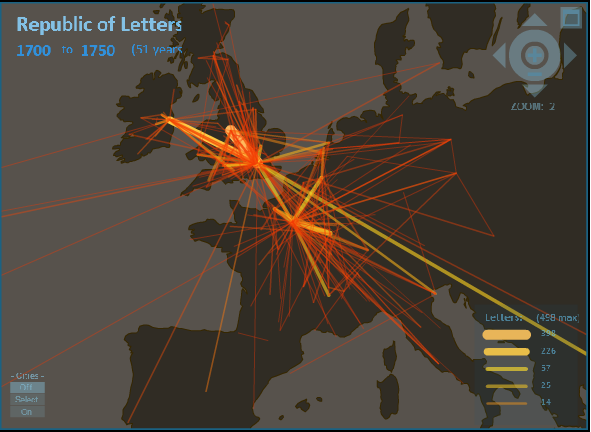 Here’s a neat video from Stanford University’s Republic of Letters project about tracking an 18th-century social network through letters. Handwriting is another rich source of information for linguists. The handwriting of a letter may provide clues about the education level, occupation, and social status of the writer. 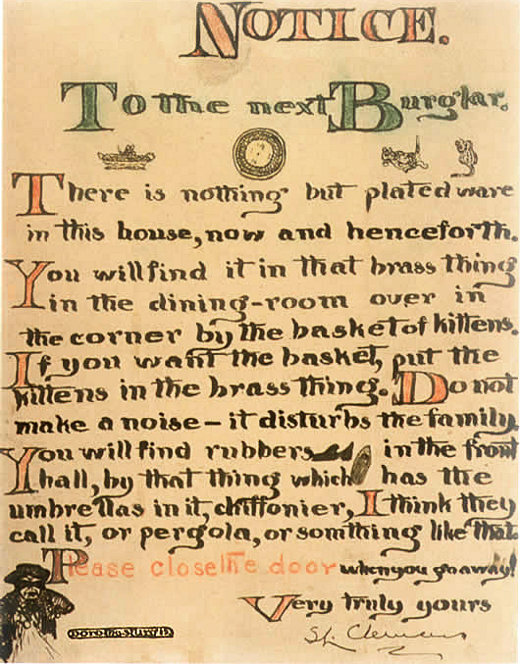 Moreover, a careful, controlled script or a hasty scrawl may indicate the emotional state or the immediate circumstances under which a letter was written. Another important advantage of studying personal letters is that they are a source of language which is, in principle, not affected by the observer’s paradox. I recently had a serendipitous encounter with the fantastic website: Letters of Note: Correspondence Deserving of a Wider Audience. I wholeheartedly agree with the site’s subtitle. Letters of Note currently contains the texts of 804 letters from 112 AD to the present. The site provides various options for browsing – or you can try your luck by clicking on the right-hand link for ‘random letter.’ I found the handwritten letters (which are accompanied by transcriptions) particularly interesting in light of their potential as a source of linguistic information – in addition to their aesthetic and emotional resonance. In any event, I think the material found on the Letters of Note site is valuable to linguists and aficionados of letters and beautiful things alike. *In Dossena, Marina and Tieken-Boon van Ostade (eds.). 2008. Studies in Late Modern English Correspondence: Methodology and Data. Bern: Peter Lang. This entry was posted in 18th-century letters, 19th-century letters, letter writing and tagged handwriting analysis, language of letters, Letters of Note, MA course, Peter Lang, Republic of Letters, social networks, sociolinguistics, spelling. Bookmark the permalink.